Interstates 22 and 65 come together at a multi level interchange at Lewisburg in Birmingham. Photo taken October 8, 2016. Interstate 22 is the designation for the U.S. 78 / Corridor X freeway (High Priority Corridor 10) between Memphis, Tennessee, and Birmingham, Alabama. I-22 begins where future Interstate 269 crosses paths with U.S. 78 outside Byhalia, Mississippi. 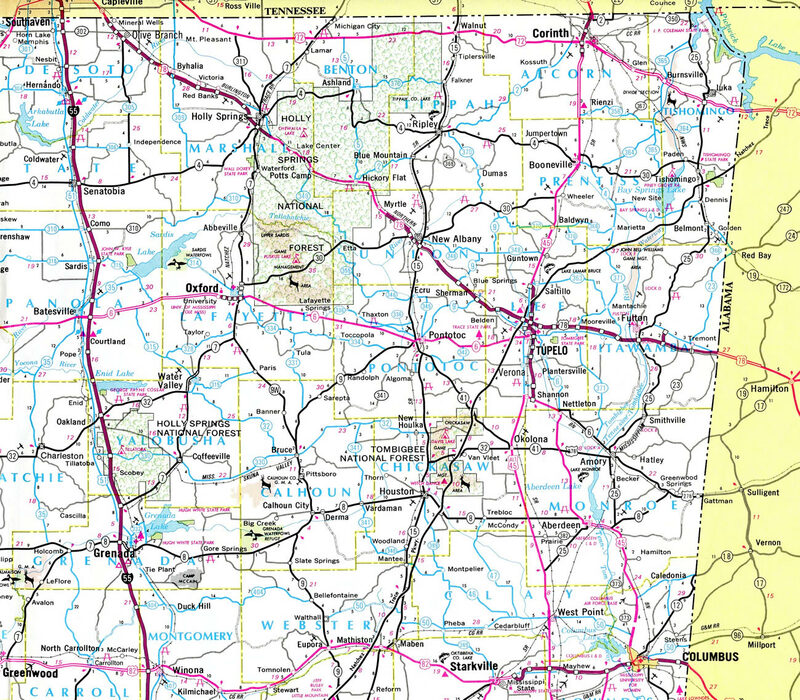 Taking a mostly rural route, I-22 runs east southeasterly to Holly Springs and through Holly Springs National Forest before reaching the south side of New Albany. Beyond an older stretch there that was upgraded, Corridor X continues to the Tupelo area, where it crosses paths with the U.S. 45 freeway leading south to Shannon and north to Saltillo. 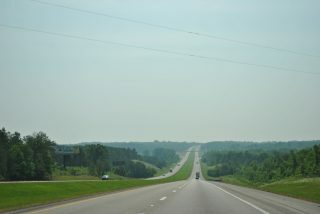 The remainder of Interstate 22 in Mississippi ventures east over hilly terrain to Fulton and the Alabama state line east of Tremont. 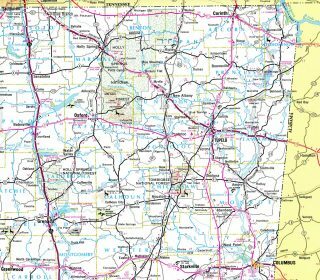 Once in Alabama, I-22 passes by Hamilton, Guin and Winfield to Walker County. The freeway doubles as Alabama 4 throughout the Heart of Dixie. Advancing eastward, I-22 travels north of Eldridge and Carbon Hill through areas of the Appalachian piedmont. The freeway passes between Horseshoe Mountain and Mc Clesky Hill before swinging southeast by Jasper and Cordova. Once near Graysville, U.S. 78 separates from Interstate 22 for an arterial route south to Adamsville, Forestdale and Birmingham while I-22 parallels Fivemile Creek east to Coalburg and Interstate 65 near Lewisburg. A ribbon cutting ceremony took place on June 20, 2016 for the final segment, between Coalburg Road and I-65. Future work will connect the east end with U.S. 31. Proposed Interstate 22 is part of High Priority Corridor 10: ADHS Corridor X from Memphis to Birmingham. Its designation is written into law. The “Corridor X” designation is a result of its placement within the alphabetical listing of Appalachian Regional Planning Commission highway corridors. Corridor X is the 24th corridor in a listing from A to Z (notwithstanding some derivative routes such as A-1 and O-1). Interstate 22 was officially written into law by H.R. 2673, Section 111(2)(B) of the Consolidated Appropriations Act, 2004. On 1/23/2004, it became Public Law No: 108-199. Interstate 22, along with Interstates 66, 69, 73, 74, and 99, is part of a growing pantheon of Interstate routes whose designation was written into law. Some background on this follows. 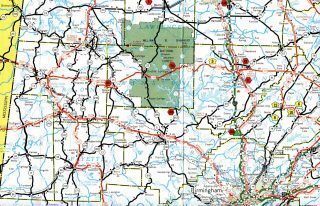 In the article, “Wicker: Interstate status for 78 near: Congressman hopes U.S. 78 will become I-22 soon” (03/04/02) from the Northeast Mississippi Daily Journal of Tupelo, Interstate 22 became publicized as a potential number for the first time by a politician. 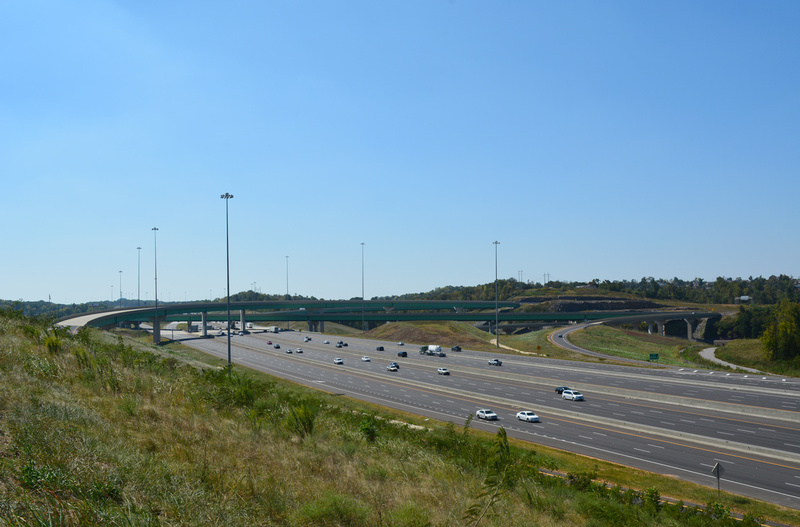 The Interstate 22 designation was to have been written into law as part of the federal Fiscal Year 2003 Transportation Appropriations Bill, but the Senate did not ratify a measure included in the bill to do this in February 2003. According to the Birmingham News article, “Corridor X transition to Interstate 22 stalled” by Ryan Mahoney (03/07/03), the goal was to install “Future Interstate 22” signs along U.S. 78/Corridor X prior to the completion of the route to attract businesses to locate along the route. This process only delayed the inevitable. Alabama began work on Corridor X / Interstate 22 with initial construction appropriations in 1983; under this schedule, completion of the route would occur nearly 30 years later. Since 2001 eventual Interstate 22 traveled from the Mississippi/Tennessee state line near Memphis east southeastward to Alabama 129 near Winfield (Exit 30). Additionally the Jasper bypass, I-22 between Exits 52 and 65, was also in use. Construction on the 6.5-mile segment between Carbon Hill and Eldridge began in 2001. On November 22, 2005, the Carbon Hill segment opened between Exit 34 (Alabama 233) and Exit 52. The scene along Interstate 22 east ahead of Hurricane Creek and Exit 3 near Bexar. Photo taken 06/02/11. Interstate 22 can be considered a scenic route throughout much of its course through northwestern Alabama. Initial stretches of U.S. 78 freeway ran southeast from the Tennessee state line past Olive Branch by 1977, the New Albany bypass, and a short stretch near Tupelo. 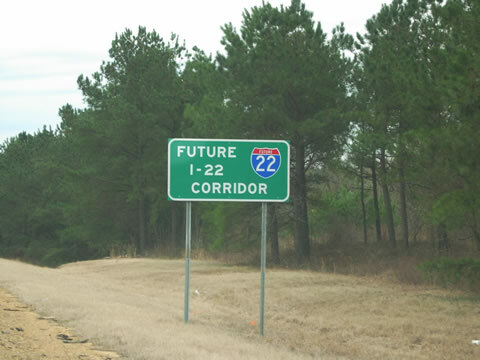 Future Interstate 22 signs such as this one were placed in Mississippi along the U.S. 78 route in 2004. Photo taken by Jeremy Hamm (01/01/05). Construction extended Corridor X eastward to Alabama 44 at Twin. The freeway was initially numbered as Alabama 138 before later becoming part of Alabama 4, the companion state route to U.S. 78. 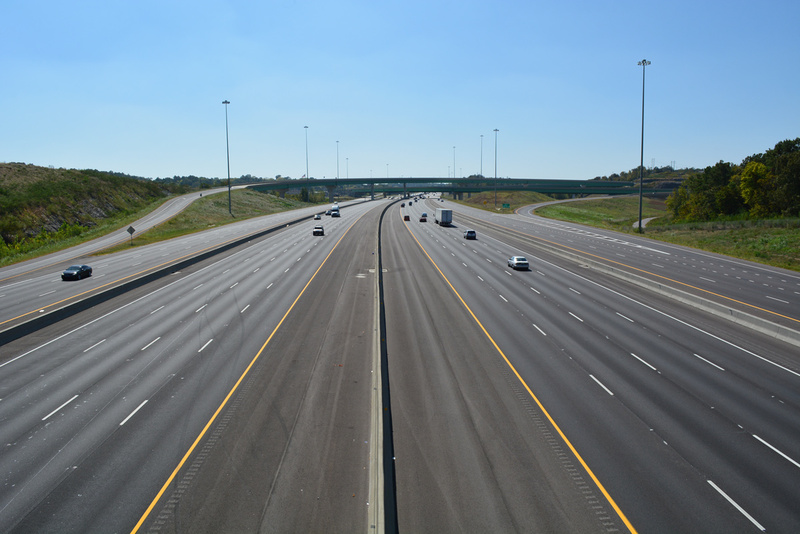 Including c/d roadways, Interstate 65 travels with 12 overall lanes through the exchange with Interstate 22. The freeway spans the future travel lanes that will eventually connect the east end of I-22 with U.S. 31 (Decatur Highway) as well. Photo taken 10/08/16. The U.S. 78 freeway through New Albany (Exits 63 through 61) and the Tallahatchie River bridge was previously substandard in nature with a narrow curbed median and no barrier to separate traffic. The New Albany bypass was under construction by 1967. Photo taken June 1, 2010. The ultimate plans, funding and construction of the I-22 western extent was thought to take seven to eight years, with connections to the existing Memphis Interstate network via U.S. 78, U.S. 72, Tennessee 385, or Mississippi 304.2 The end point was eventually narrowed down to I-269, the Memphis outer beltway. This is confirmed with the June 28, 2016 sign plans showing End and Begin shield assemblies planned for the interchange with I-269 [see page 50 of the MDOT document “Section 905 – Proposal”]. Construction for Interstate 269 in Mississippi runs through mid-October 2018, which upon completion, will complete the link between I-22 and Interstate 55 and 69 at Hernando, Mississippi. Beyond Coalburg Road (Exit 93) Interstate 22 comes to within two miles of its eastern terminus with Interstate 65. This segment opened to traffic June 20, 2016, completing I-22 through Alabama. Photo taken 10/08/16. The last reassurance marker for Interstate 22 east. U.S. 78 remains cosigned with the eastern extent of the freeway, despite the route remaining posted along its alignment south from Graysville to Adamsville and Arkadelphia Road in Birmingham. Photo taken 10/08/16. Flyover ramps depart in one mile to carry motorists from I-22 east to the c/d roadway along I-65 north ahead of the Fultondale off-ramp (Exit 266) to nearby U.S. 31 (Decatur Highway). Photo taken by Chris Patriarca (07/08/16). Traffic departs for the ramps to I-65 north and south while base-grade pavement continues a short distance ahead to a stub end atop a bluff. The mainline for I-22 will eventually duck under the multilevel interchange for a connection to U.S. 31. Photo taken by Chris Patriarca (07/08/16). Interstate 22 ends as two lanes depart for Interstate 65 north to nearby Fultondale. Huntsville lies in the northern part of the state and is linked to the north-south freeway by Interstate 565. Otherwise drivers bound for I-65 south will bypass Downtown Birmingham in five miles just beyond the I-20/59 exchange. Photo taken by Chris Patriarca (07/08/16). Interstate 65 south wraps around North Birmingham to Fountain Heights ahead of Downtown. Photo taken 10/09/16. Midway through construction, the travel lanes and ramp approaches from Interstate 22 ended abruptly on a bluff overlooking Interstate 65. Photo taken 10/20/12. Two miles ahead of the eastern terminus of Interstate 22 on I-65 south at the Ridge Brook Road overpass. Photo taken 10/08/16. Walker Chapel Road (Exit 267) passes overhead on the one mile approach to U.S. 31 to Fultondale and Interstate 22 west to Memphis (Exit 265). A trumpet interchange joins I-65 with U.S. 31 while a multilevel directional interchange connects the Memphis-bound freeway with I-65. Photo taken by Chris Patriarca (07/08/16). As the mainline of Interstate 65 spans Ellard Road and Fivemile Creek, a collector distributor roadway prepares to depart for U.S. 31 and Interstate 22. The c/d roadway funnels traffic between the two interchanges returning to I-65 ahead of Daniel Payne Drive (Exit 264). Photo taken by Chris Patriarca (07/08/16). Interstate 65 arcs southwest at the egress point for U.S. 31 (Exit 265B) and Interstate 22 (Exit 265B). The U.S. 31 (Decatur Highway) mainline can be seen in the background as the U.S. highway continues south toward Downtown Birmingham. 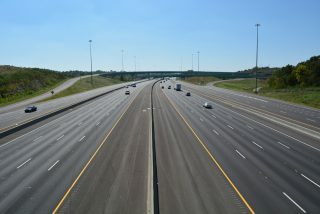 The final two miles of Interstate 22 opened to traffic June 2016 connecting I-65 and Birmingham with the outer reaches of Memphis, Tennessee. Photo taken by Chris Patriarca (07/08/16). Exit 265A prepares to leave for Interstate 22 west along the collector distributor roadway as drivers pass through the high speed interchange. Motorists entering from U.S. 31 are directed to continue ahead for Interstate 65 south to Birmingham and Montgomery. The freeway will travel through the state capitol city in 96 miles. Photo taken by Chris Patriarca (07/08/16). Interstate 65 south at the location where I-22 now connects from the west. Photo taken by Chris Patriarca (05/04/03). Interchange sequence sign posted where the southbound c/d roadway from U.S. 31 at Fultondale to I-22 runs now. The freeway mainline was expanded here from six to eight lanes. Photo taken by Chris Patriarca (05/04/03). Pier supports and some girders were in place for the eventual flyover ramps connecting Interstates 22 and 65. The $168.6-million project interchange includes an 85 foot tall flyover from I-65 north to I-22 west.14 Photo taken 10/20/12. The Interstate 22 mainline now passes below Interstate 65 in this scene to connect with adjacent U.S. 31 in the future. A separate contract was to focus on construction of 3,000 feet of roadway linking I-22 and U.S. 31. Completion of this element of the project was expected in 2014,14 then in 2015. It ultimately opened to traffic on June 20, 2016. Photo taken 10/20/12. A ramp leaves for Daniel Payne Drive (Exit 264) along Interstate 65 north on the 0.75-mile approach to Interstate 22 west (Exit 265A) to the Memphis area. I-22 spokes on a northwest course from Exit 265A through west central Alabama toward the city of Jasper. The Memphis-bound freeway enters Mississippi to the west of Hamilton. Otherwise I-65 meets U.S. 31 to Fultondale in one mile (Exit 265B). Photo taken by Chris Patriarca (07/08/16). Traffic departs for Interstate 22 west at a multilevel interchange built between 2010 and 2016. The high speed exchange opened June 2016 with provisions for an eventual extension of I-22 a short distance southeast to U.S. 31 (Decatur Highway). A separate ramp 0.25 miles ahead joins Interstate 65 with U.S. 31 to nearby Fultondale. Photo taken by Chris Patriarca (07/08/16). Northbound Interstate 65 at the future westbound flyover for Interstate 22. The nearby Daniel Payne Drive on-ramp passes below this flyover onto I-65 north. Photo taken 10/20/12. Ramps from both I-65 north and Daniel Payne Drive will combine onto the westbound flyover for Interstate 22. A slip ramp from I-65 to U.S. 31 will depart from within the Interstate 22 stack onto the adjacent c/d roadway for the Fultondale interchange (Exit 266). Photo taken 10/20/12. Heading north from 41st Street (Exit 264) on I-65 ahead of where the c/d roadway (Exits 265A/B) for Interstate 22 west and U.S. 31 at Fultondale depart now. Photo taken by Chris Patriarca (05/04/03). Advancing north through from the site where I-22 ties into I-65 now toward the trumpet interchange with U.S. 31. I-65 ended at Fultondale temporary during construction of the route. Photo taken by Chris Patriarca (05/04/03). The first confirming assembly for Interstate 22 west precedes Exit 93 with Coalburg Road by one mile. Photo taken 10/08/16. A full cloverleaf interchange with collector distributor roadways along both Interstate 22 and Interstate 269 joins the two freeways in a rural area near Byhalia. This view looks along U.S. 78 east under the four sets of bridges that carry I-269 and the c/d roadways. Photo taken by Chris Kalina (03/08/14). “Corridor X dubbed Interstate 22.” Mobile Register, July 27, 2003. “Officials say Corridor X to Jasper will be completed by spring 2005.” Daily Mountain Eagle (Jasper), September 6, 2003. House taps U.S. 78 as future I-22.” Northeast Mississippi Daily Journal, September 10, 2003. “I-22 designation close for U.S. 78.” Northeast Mississippi Daily Journal, November 15, 2003. “Corridor X becomes I-22.” Birmingham News, Friday, April 15, 2005 by Ginny MacDonald. “I-22 link to border set to open” Birmingham News, November 13, 2005. “I-22.” Personal email from H.C. White dated 12/10/2005. “13 miles of Corridor X to open.” The Birmingham News, June 2, 2007. “26 miles of Corridor X to open Nov. 14.” The Birmingham News, October 31, 2007. “Construction contract awarded for final link of Corridor X.” The Birmingham News, June 16, 2010. Re: Interstate 22, AARoads Forum posting by Grzrd, September 30, 2010. 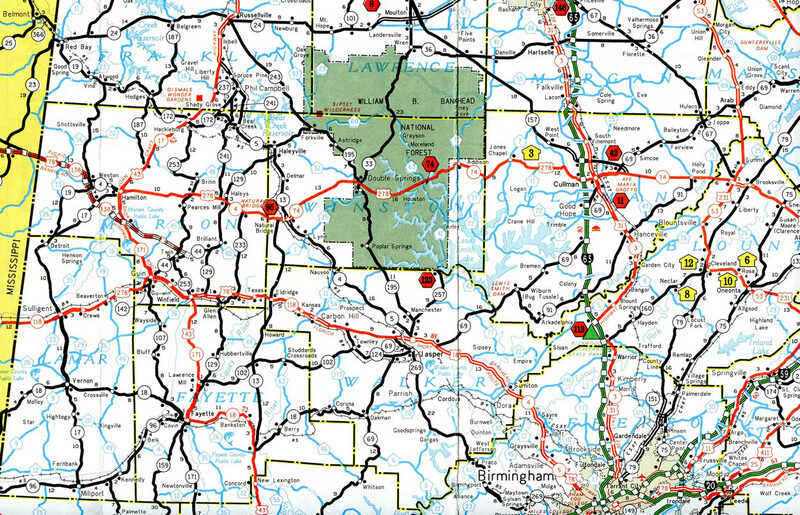 Re: Interstate 22, AARoads Forum posting by Grzrd, September 12, 2011. “MDOT’s District Two Offers Project Updates.” MDOT News Release, June 19, 2012. “Birmingham I-65/Corridor X project set to launch Aug. 1.” The Birmingham News, July 26, 2010. 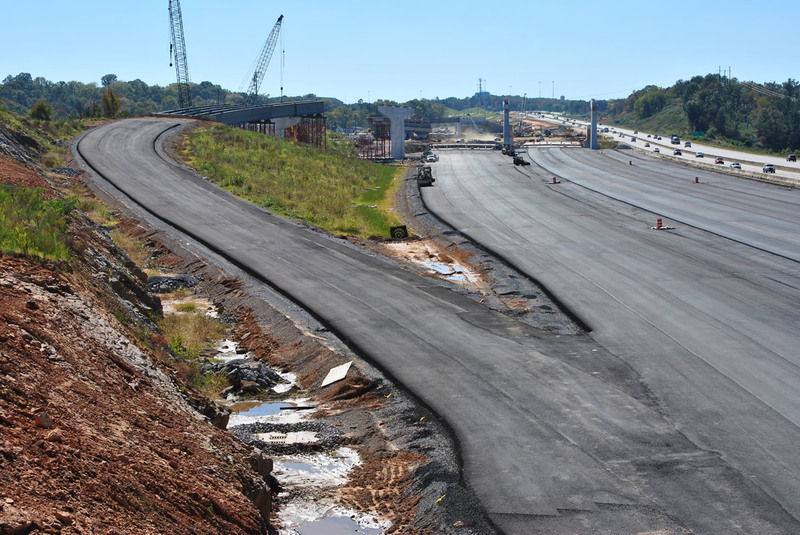 “Interstate 22 interchange on target for August completion, contractor tells ALDOT” The Birmingham News, March 26, 2015. Page updated May 16, 2017.